At Milkwood Farm we love both our rocket stove water heater and our mini rocket stove, but with winter taking hold I’m dreaming of new ideas, so I thought I’d review what else is out there. The first thing i discovered was who initiated the rocket stove idea. Previously i’d had the fuzzy impression that this technology was dreamed up by the fabulous Ianto Evans, as outlined in his excellent book Rocket Mass Heaters – super efficient wood stoves you can build (with Leslie Jackson). But it turns out that the originator of this technology was Dr. Larry Winiarski from the Aprovecho Institute. And out of this work came the idea of rocket stoves, which a worldwide community of folks with both a clue and a need picked up, ran with, and continue to refine. 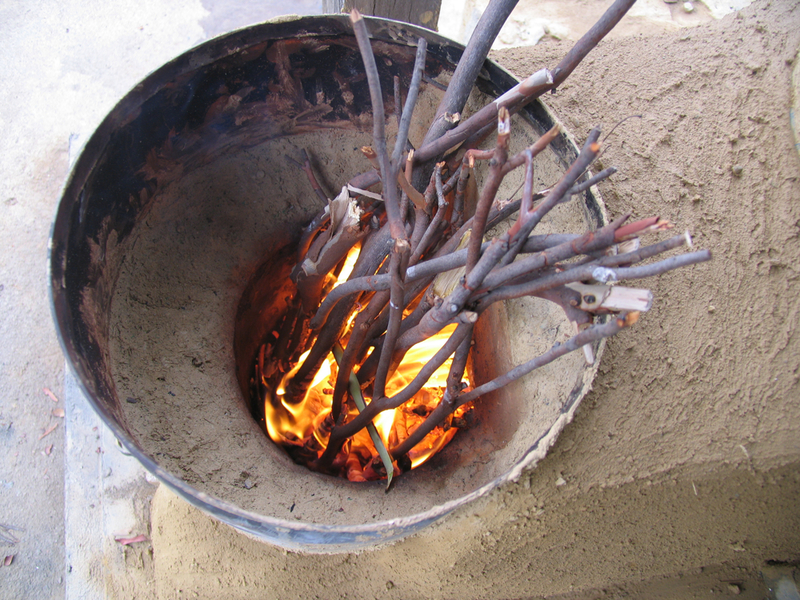 Capturing HEAT: Five Earth-Friendly Cooking Technologies and How to Build Them. It’s a great little introduction to low-energy cooking techniques. 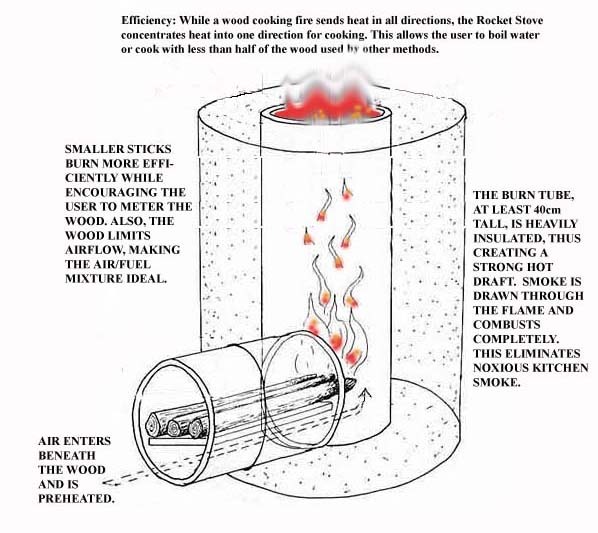 Rocket stove technology is exciting for a couple of reasons, but the central two are both simple and profound: the first is the fact that you don’t need much wood to run a well-made rocket stove. 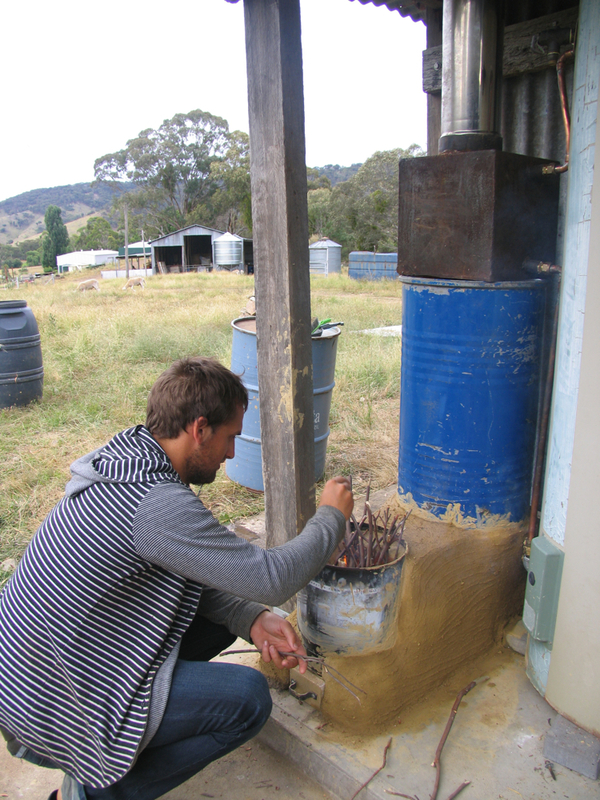 The second is that a well-made rocket stove gives off very little smoke. Anyone who relies on wood-burning systems for heat of any kind, will automatically appreciate both these factors. Whether you’re schlepping wood every week from the woodpile, or gathering it from the forest nearby (or far away, for that matter), the less wood you have to use, the better. Both for the gatherer, and for the forest being gathered from. On an everyday level, this factor is extremely attractive. 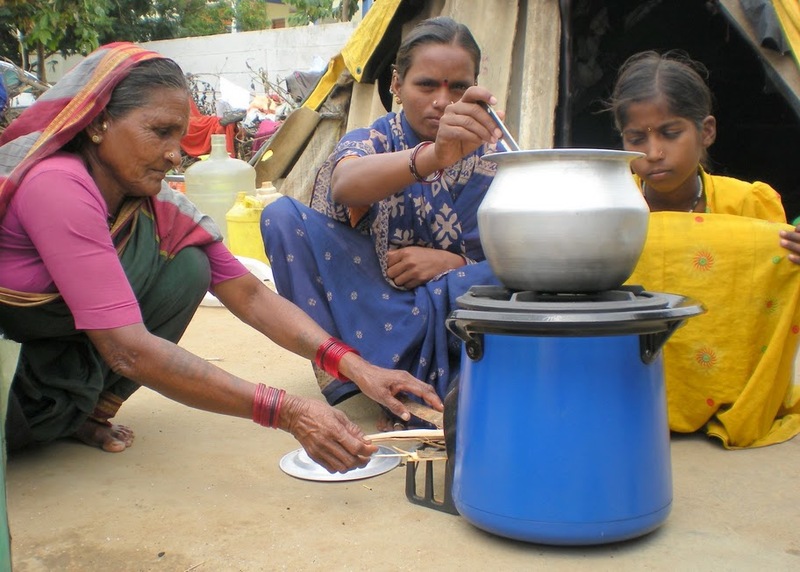 Take your living situation out of the every day, however, and into crisis mode where a community lacks automatic access to the raw materials to heat or to cook, and rocket stoves start to potentially become life changing, and even life saving. 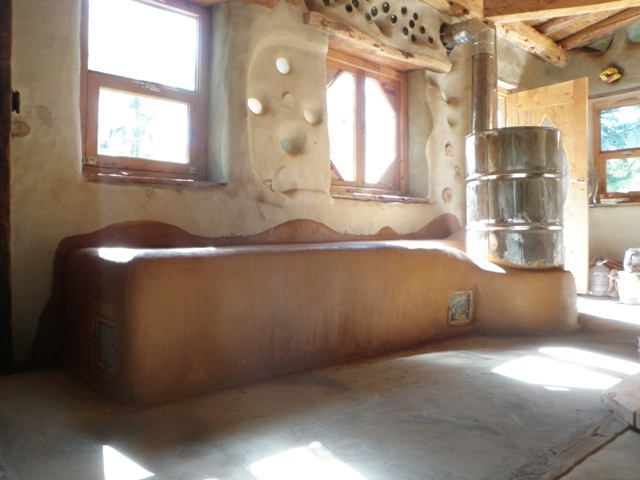 The not-so-much smoke thing might not seem such a big deal to us westerners, but it’s both a measure of energy efficiency, a question of pollution and, for households where cooking is done inside on a wood stove, has a huge impact on the health of that family. 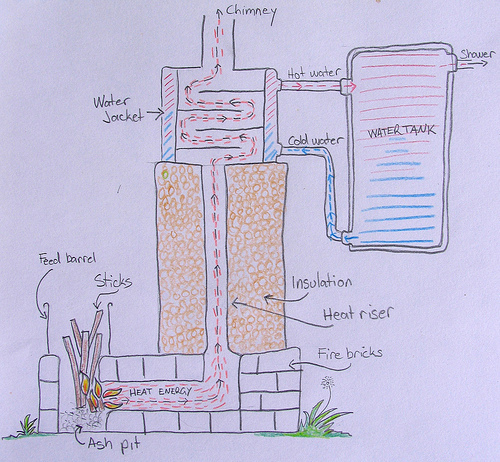 From this basic idea, a million DIY rocket stove experiments have unfolded. And many of them are very cool indeed. Some of them are domestic scale, and some of them are community scale. Some are for cooking, and some are for heating. All rely on maximum effect for minimum input. Energy efficiency at its best? 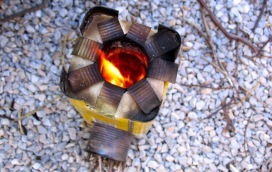 This cutie was one of the designs our mini rocket stove was based on. A rocket stove making lunch. This is a good thing. Especially with that cup of tea. 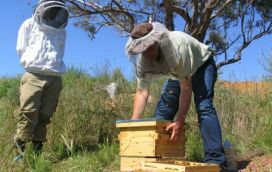 Beyond these basic applications, there are heaps of amazing folks refining bread-baking rocket stoves, industrial and community scale cooking with rocket stoves, food drying and many, many things I have no doubt not yet come across. Ahrg, the awesomeness! I think our next rocket stove project will be a rocket stove bread/pizza oven for our tinyhouse courtyard… anyone out there have experience in building something like this? Any advice before we take the plunge? [caption id="attachment_1634" align="aligncenter" width="500" cap . .
Paul Wheaton has a video of a double chamber rocket cob oven. Kirsten, while travelling in NY last year, I came across a really neat pizza/bread rocket oven. Built from pure scrap materials and worked really nicely. I can get you some photos for reference if you like. The rocket heated the cooking chamber (old burn barrel) and fire brick cooking surface from below. The feed chamber was on the back side and a removable oven door on the front end. They’re still kicking out pizzas over at Regneration CSA! Can you guys or anyone else answer my question? J profile or L profile: which works best and what are the pros and cons of each? 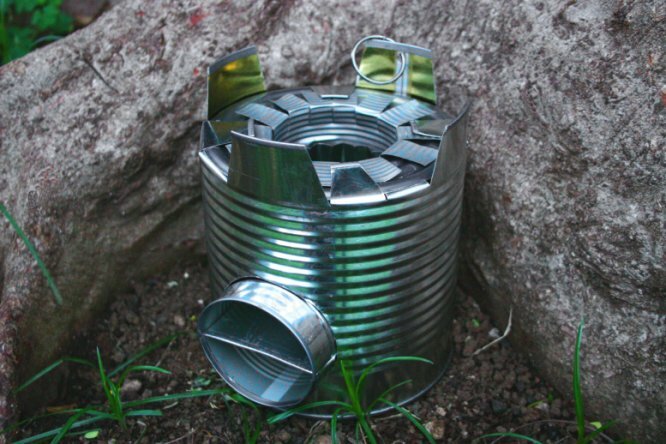 I’m about to build rocket stoves for a couple of applications and would really like to hear about people’s experiences of both. profile is dependant on application, Efficiency is totally dependant on distance from fire to pot or whatever you are heating. 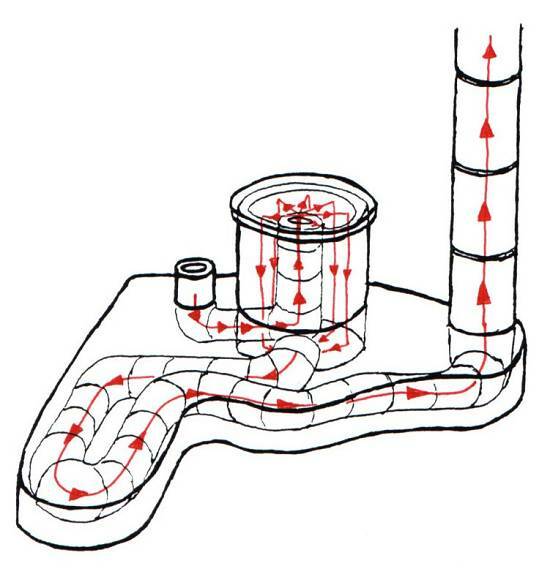 j profile is always longer unless you have a flue after the pot or whatever you are heating. In my experimenting I found that without a flue the vertical distance between where you feed the fire to the underside of the pot needs to be 500mm minimum for smoke free operation and to maintain a good draft. 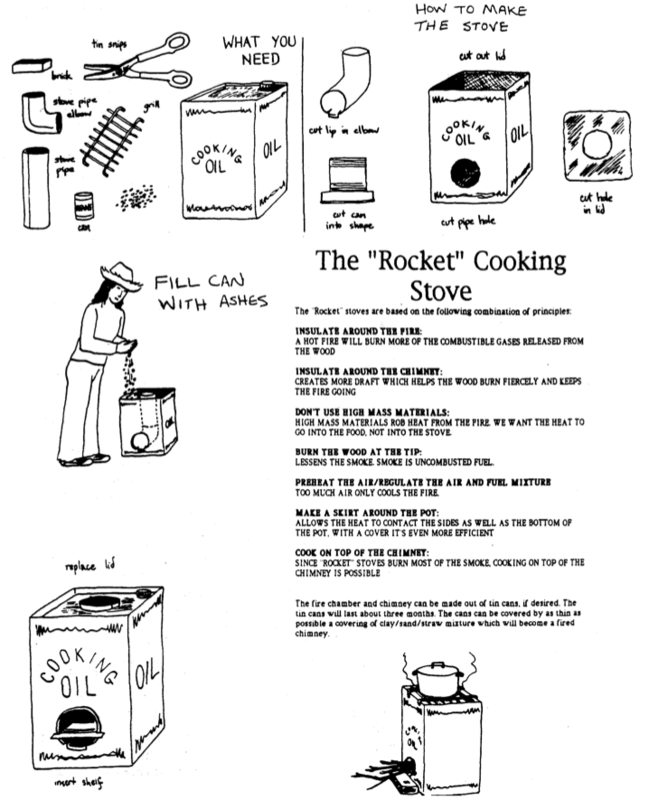 The rocket stove comes from OLD Technology, The Fox Stove. Hey there, I just wanna say thank you so much for this great work , I just appreciate everything on your blog, valuable writing great layouts! it’s only Awesome! thank you again. The link ‘Ten design principles for wood burning stoves.does not work. Agreed. What an exciting and engrossing concept. 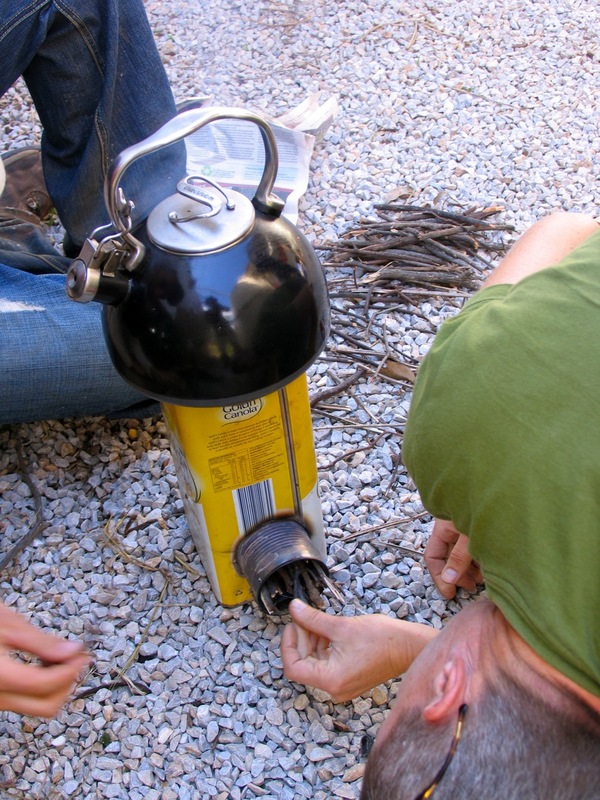 Thanks Milkwood for sharing your discoveries…until now I had never heard of rocket stoves. I’ll be building one myself! I love your blog Kirsten! I was in Aprovecho (USA) (the place where was invented the rocket stove) and I didn’t realized that since the last week! hahahha. We built a rocket mass heater with a cob bench and a rocket cooking stove! It was so fun! 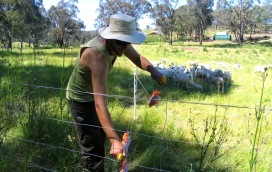 We would love to come back to Milkwood and see what’s going on there, it looks really well!